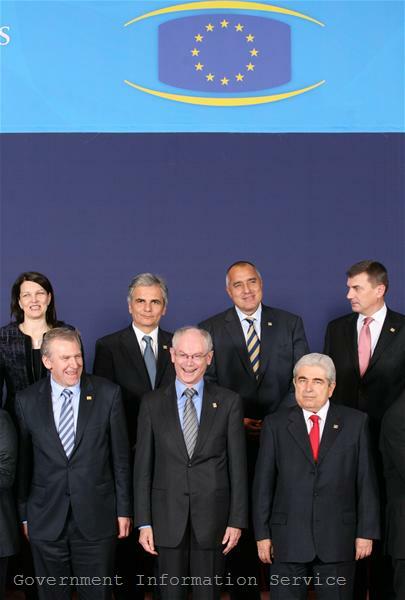 The leaders of the 27 EU countries supported the plans for the Union's economic governance, developed by the finance ministers in the Task Force, headed by the President of the European Council Herman Van Rompuy. Based on the Commission’s proposals of 29 September, the reforms will be sent to the European Parliament, where they are expected to be considered as a priority and be approved by the next summer break. Though not fully reflecting the Commission's proposals (as noted in the Council's conclusions), the recommendations of the finance ministers constitute a major framework for more coordinated and more rigorous economic policy. Since euinside has explained repeatedly what exactly the changes are, now we will just summarize them without going into details. Firstly, in terms of financial discipline, focus shifts to indebtedness. 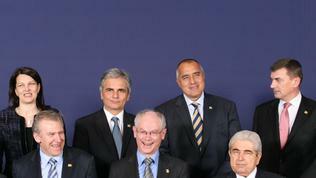 It is proposed the Excessive Deficit Procedure to be used in cases of excessive indebtedness too, though much earlier - before the debt limit of 60% of GDP is reached, as stipulated in the Stability and Growth Pact, when it is assessed that the debt is not diminishing at a satisfactory pace. In order to enhance the effectiveness of the procedure, financial and reputational/political sanctions are to be applied at an earlier stage in the process of budgetary surveillance. 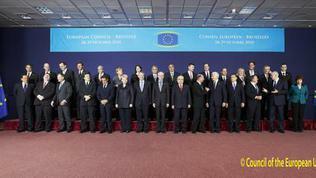 The recommended political and reputational measures range from enhanced reporting requirements to ad-hoc reporting to the European Council, and enhanced surveillance, eventually followed by a public report. Financial penalties range from interest-bearing deposits to fines. At this stage they will only apply to the eurozone countries. But "as soon as possible, and at the latest in the context of the next multi-annual financial framework, the enforcement measures will be extended to all Member States, by making a range of EU expenditures conditional upon compliance with the SGP.” This means that the implementation of the Stability and Growth Pact will be set as a condition for receiving some of the EU funds. Further efficiency is expected from the new rule that states Commission's recommendations will be considered applied unless the Council does not reject them by qualified majority within a specified period. 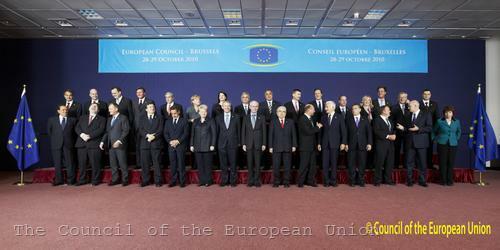 The so-called reversed majority rule caused many disputes over the Commission's attempt to avoid the Council's role and make sanctions more automatic. 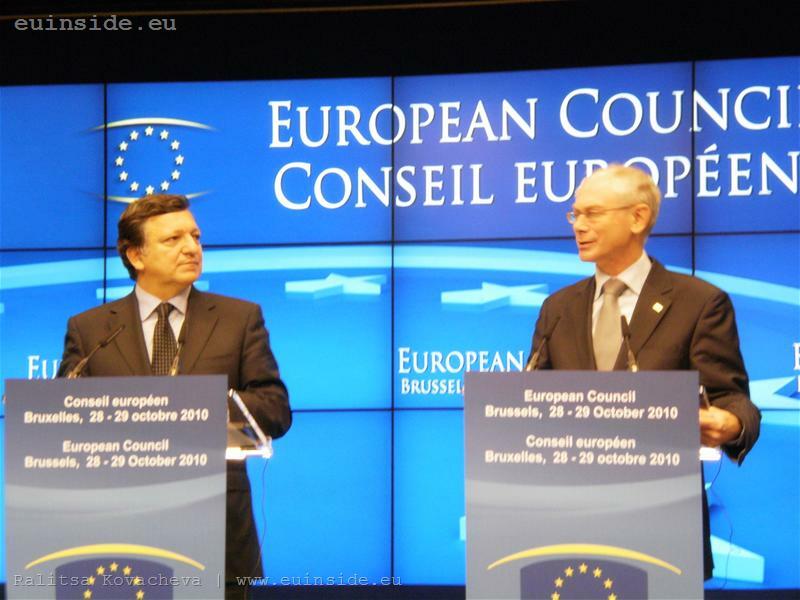 Ultimately, however, as EU President Herman Van Rompuy explained, the Council cannot be surrounded, therefore, the "reversion" is expressed in the need of rejection (not approval) by a qualified majority. Similar position was expressed by the leader of the Liberals in the European Parliament Guy Verhofstadt. He said that future treaty changes must be wider than those agreed by the European Council: „The aim is to give the Commission the power to start the procedure of sanctions directly when needed. The role of the Council and the Member States should therefore be limited to the possibility to reverse the Commission decision with a qualified majority." Another innovation approved by the European Council is enhanced macroeconomic surveillance for early detection of risks of imbalances in the economies of the Member States. For this purpose, an annual risk assessment of macroeconomic imbalances will be made, based on a set of indicators. Indicators can be both external and internal - for example, real effective exchange rate or indebtedness of public and private sectors. This is particularly important for the euro area, where the large differences in competitiveness create risks to the Economic and Monetary Union. It is important, however, for countries like Bulgaria as well because of the danger of "bubbles" (such as real estate bubbles) which in the long run could put the economy at risk. In case of existing or potential imbalances in a Member State, it will be placed in an "excessive imbalances position". The country concerned has to take corrective measures within a certain deadline. In this case financial penalties for eurozone countries are also provided, if any of them would repeatedly not comply with the recommendations or would not provide a corrective action plan. This is detailed in the Commission`s proposal of September, but certain indicators, their thresholds and detailed procedures are yet to be defined. In the process of assessment of each country, an active dialogue with government will be held and the policy intentions of the Member State, as reflected in its Stability and Convergence Programme and National Reform Programme, will be taken into account. Most clear is the "European semester" - the procedure of budgetary surveillance, which EU leaders agreed yet at their June Council. It will start from next spring in order to allow evaluation of national budgetary measures and structural reforms in terms of growth and employment. 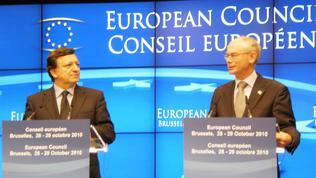 The idea is the European objectives to be more adequately reflected in national budgets and reform programmes. To ensure effective budget monitoring and comparison among all Member States, the Commission has already developed a set of minimum requirements for national fiscal frameworks in essential areas, which were approved by the Council. They must be implemented by the end of 2013. There is also a number of measures to further strengthen Eurostat and the European statistical system. In their conclusions, EU leaders recommended by summer next year the Parliament and the Council to reach an agreement on the legislation needed to implement the new rules. What is the Bulgarian position? "We are in favour of discipline and in the years to come all European countries should be able to adjust their budgets in this direction", Prime Minister Boyko Borissov told journalists in Brussels. Furthermore: "I personally insisted on such a tight discipline. In my statement I argued that in different countries political parties might come to power at some point in the future (I do not have in mind Bulgaria only, but each country) who could simply say: we will not maintain this budget deficit, we will spend the fiscal reserve ... What’s happening then?" The answer to the question "What 's happening?" will become clear only after several months when the European semester becomes operational and the government must present its budgetary plans in Brussels. And even more - the National Reforms Programme. Then we will see if the Prime Minister was right, when a few months ago he said that Brussels would not be angry about our deficit. Most likely what happened to the pension reform will be repeated: after serious protraction, backsliding and playing games with trade unions - the plans for increasing pension age and social contributions period are a fact, just two days after the Council (our analysis on the topic is coming soon). Apparently, when the carrots are over, the stick helps.